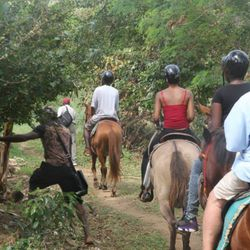 "Nature trail though the rain forest"
" Fond D'or Nature Reserve"
Freshly picked coconuts on every tour! 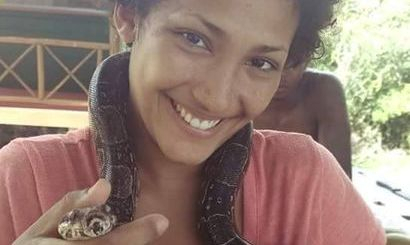 With origins in the ancient Caribbean and Latin American mythology, the spirit of the snake. 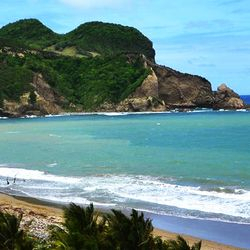 The Mabouya Valley in St.Lucia derives its name from the snake meandering of its main river which originates from the magnificence of La Sorciere (The Sorcerees) mountain. 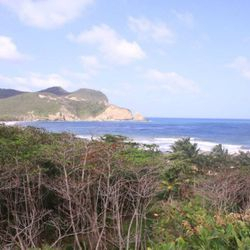 The Valley is located on the east coast of the island. 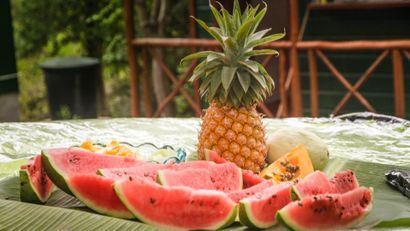 It has always been the center for agriculture, starting as a cotton plantation in the 1800 and sugar cane production from 1787 to 1960 followed by Banana Plantations in the 1960's. 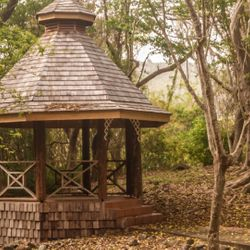 Where you will learn all about the ancient people of St.Lucia, the way they lived, worked and celebrated. 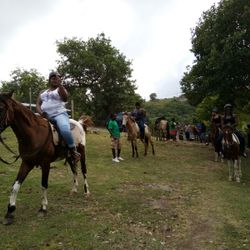 The trip to the Mabouya Valley and Fond D'or takes you through the banana community of Bexon, and over the rolling hills of the Barre D' Ilise with breath taking sites along the way. 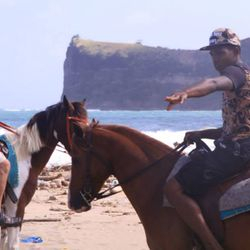 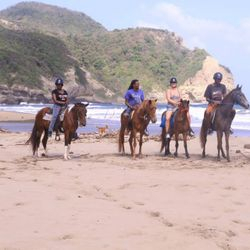 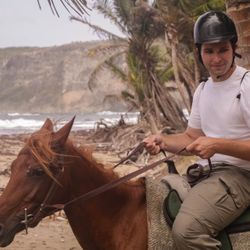 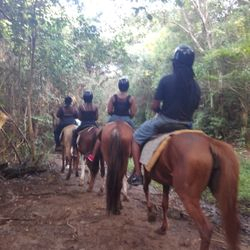 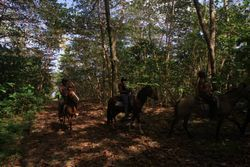 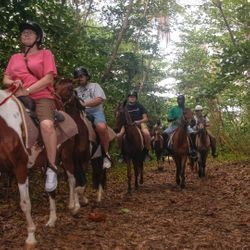 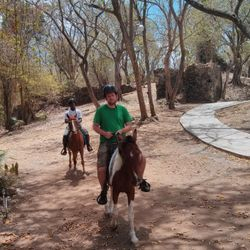 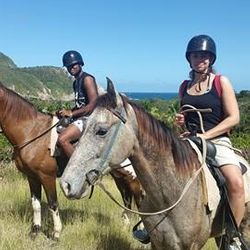 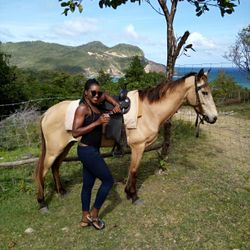 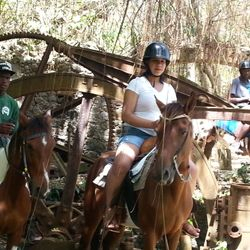 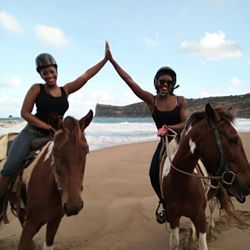 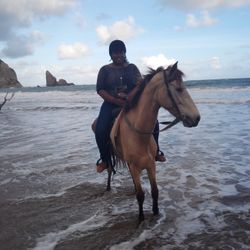 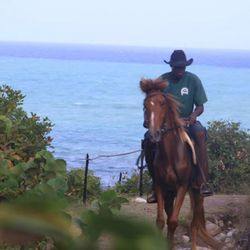 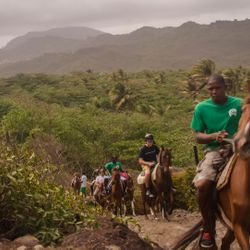 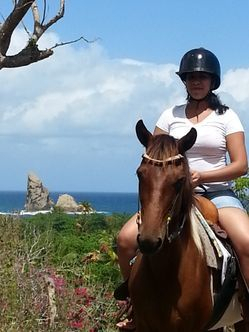 The 2 hours riding trail goes through the ancient ruins to the Interpretation Center Museum for a breath taking view of a carved image of a Lion and head of a Tribal Chief. 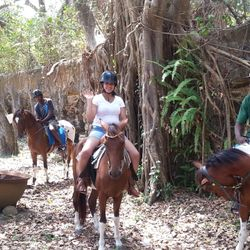 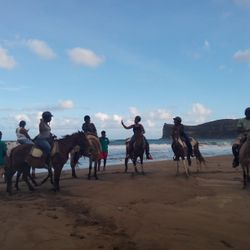 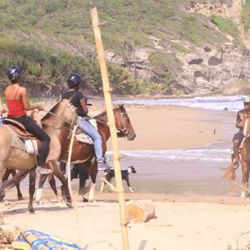 From there it meanders through forest of coconut palms to the Atlantic Ocean, where you can enjoy a thousand feet of sandy beach and see the nesting ground for the Leather back Turtle. 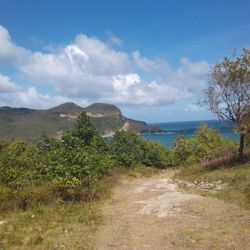 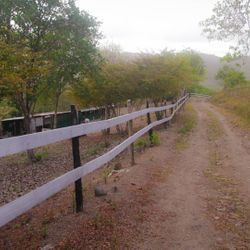 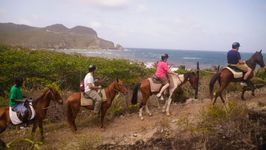 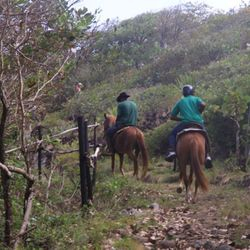 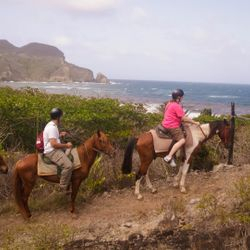 The trail continues through the rain forest and features bird watching , crabs, iguanas, other wildlife. 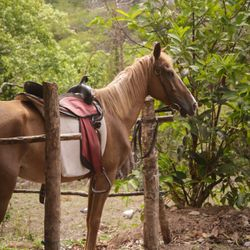 You can also collect some of natures medicine from the wild. 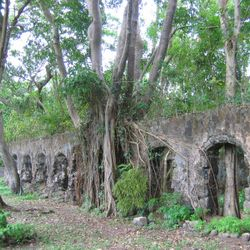 Along the way is banana plantation which goes on for miles then into the ruins of the old sugar mill and continues through the Savannah, meadows and mangroves. 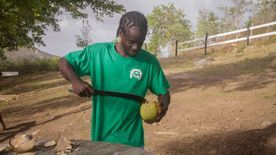 Don't worry about being dehydrated as throughout the tour we will be serving you with water or freshly picked coconut water right from the nut. 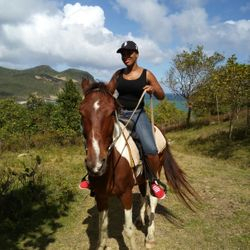 Back at the stable the tour won't end without our complimentary refreshments and snacks!!!!!!!!!!! 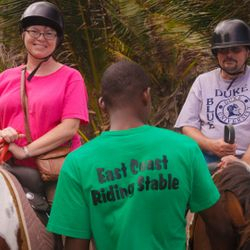 Come ride with East Coast Riding Stable. 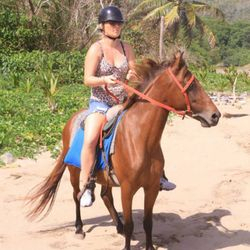 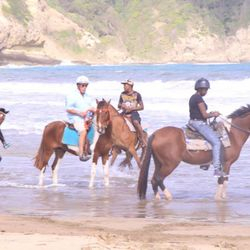 Take great pictures and make wonderful memories in St. Lucia. 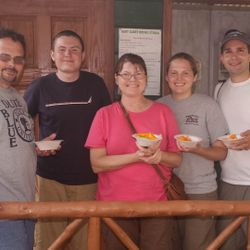 Our customers are always satisfied. 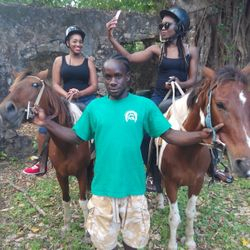 Pickup/Taxi Services available... 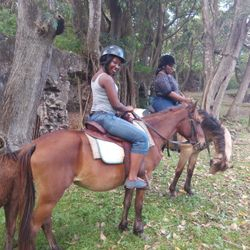 Call or email for more info!